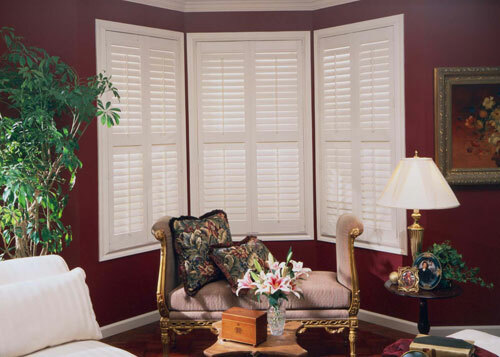 We offer the highest quality interior hardwood and polymer shutters at the most competitive prices in Southern California. 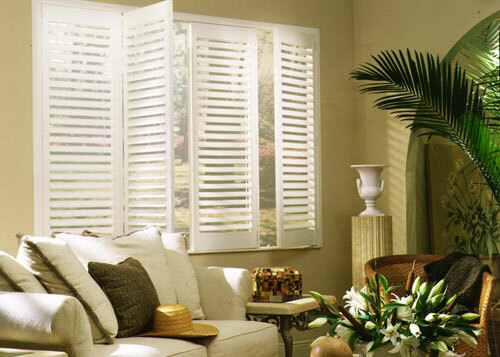 All our interior shutters can be customized to fit your existing window openings and complement your decor. We perform expert installations that ensure a flawless, professional look, and every interior shutter is guaranteed and backed by a limited lifetime warranty. Call us today; we offer free in-home estimates for interior shutter sales and installations, and we guarantee our customers' full satisfaction with every project we do. 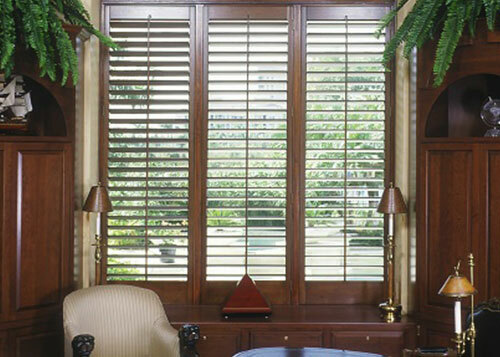 While we offer a full line of high quality hardwood shutter options, we specialize in custom crafting and installing basswood shutters. 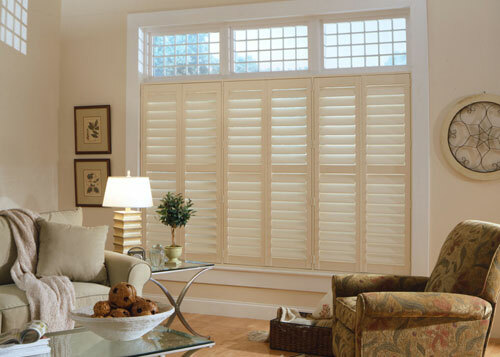 Basswood is an ideal material for constructing shutters because it is both strong and lightweight. It is also one of the straightest varieties of hardwood, with a fine grain that creates an even overall texture. This makes it easy to sand and stain to a smooth, uniform finish. Basswood is also known to be an effective natural insulating and sound filtering material. 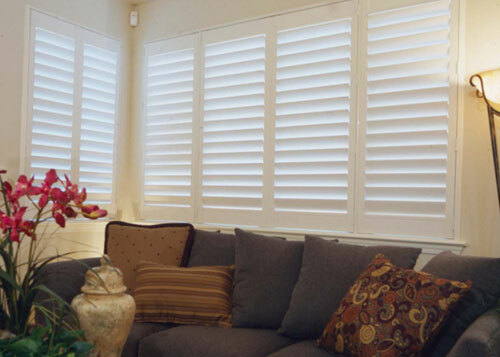 In addition to these natural, time-tested advantages, genuine basswood shutters can also help improve the resale value of your home. 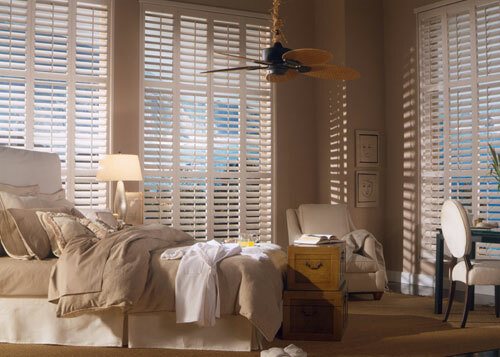 Our high quality basswood shutters are made from 100% kiln-dried solid basswood. They are 1 ⅛" thick with ⅜" rabbeted inter-panels, mortise and tenon joints, and mortised hinges. 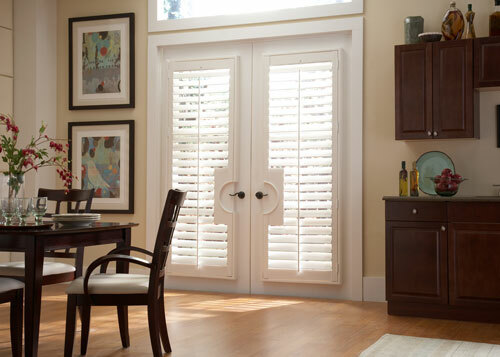 Our basswood interior shutters also feature nylon louver pivots, and louver tension screws that allow you to loosen or tighten the louvers as needed. 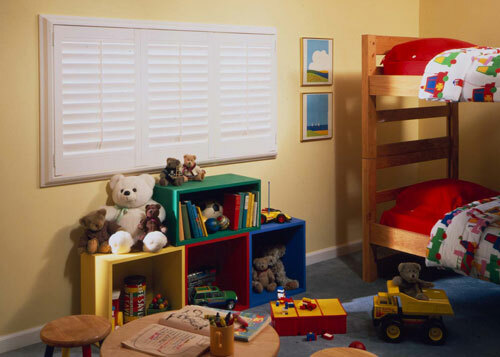 Our specialty hardwood interior shutters are available in the finest alder, cherry, mahogany, maple, red oak, walnut, and white oak, and every option we offer is highly durable furniture-grade wood. We can customize your specialty hardwood interior shutters in any of a variety of different shapes, then match them to almost any color to create a perfect fit with your existing decor. Available louver sizes are 2 ½", 3 ½", 4 ½". 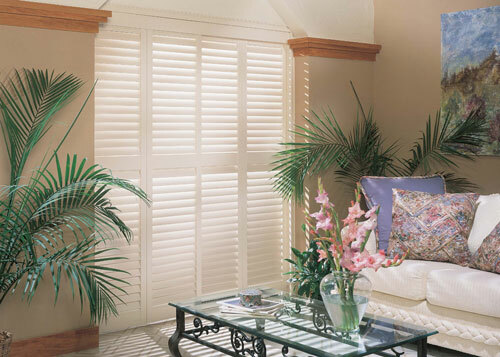 Our long-lasting polymer interior shutters offer you the look of real wood plantation shutters, but have the strength and convenience of synthetic material. Polymer is an excellent insulating material with many additional advantages; it is waterproof, rot-proof, termite-proof, and fire resistant (it has self-extinguishing properties). Our polymer interior shutters are also damage-resistant. Like our hardwood shutters, our polymer interior shutters can be customized to fit your existing window openings and your decor. 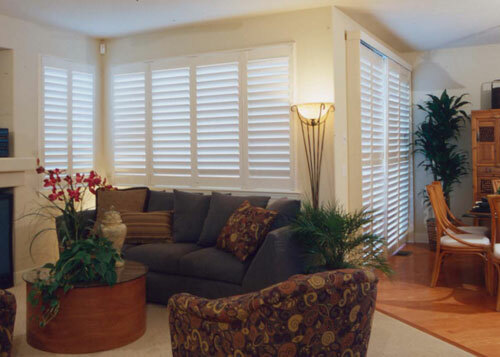 Because polymer shutters are paintable, we can customize them to match or complement your room's interior design, and you can choose from three different louver widths (2 ½", 3 ½", and 4 ½").